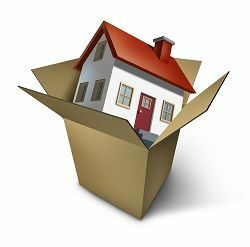 If you are moving to South Woodford, E18 then Moving Service is here to help you with all your moving needs. Thanks to our years of professional removal experience in the district area, we can offer new and established residents an easy yet comprehensive moving solution that will cater for all your removal requirements. From collecting your belongings from your previous home, transporting them in our modern and insured removal vans, to finally delivering to your new home, we are there for you every step of the way. Not only this, we also help with the packing with a unique range of materials available for any items you may have. We will help you pack up more delicate items, carry awkward and large possessions, and safely and securely load them into the van. We also provide advice on ways to approach your house removal as well as tips and recommendations of the E18 area. After all, it is our hometown; South Woodford runs in our blood. To speak with us about your house removal needs, give us a call on 020 8746 4402 and talk with one of our local representatives. They’ll be more than happy to help, and they’ll throw in some valuable tips on moving to E18 area. The area is one of four suburbs that form the larger area known as Woodford in North East London, just slightly under nine miles north east of Charing Cross. The area is a popular spot to live, having plenty of amenities and good connections to other parts of London. 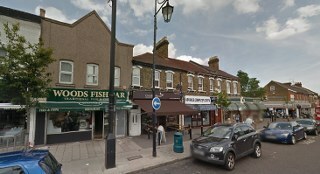 The area hosts a retail and business area that is centered on the main high street of the district, George Lane and as on Woodford Green High Road. The high street has some well known chain stores, a wide selection of smaller shops and a post office as well good restaurants and cosy coffee shops. The area also has a number of green spaces that form part of Epping Forest. This provides a relief from the big city movement with plenty of open space to relax and enjoy the summer, a popular activity for locals and passers-by. The roads leading in and out of the area connect to larger motorways, allowing very easy access to other major areas. The Central Line rail track, and the South Woodford tube station also serve the area. It also has many bus routes that connect it to other parts of London, including a night bus. Let the experts take care of your house or office removals to South Woodford, E18. Moving Service is a name you can trust with ample local knowledge, years of removal experience and an unbreakable reputation that we have worked hard to achieve. We earned our excellent name through unbeatable customer service and always delivering exactly what we promise. If you are moving to South Woodford, call us on 020 8746 4402 and we’ll be there to give you a free consultation, a non-obligatory quote and support throughout every step of your home or office removal. We offer packages of services that give you flexible options to meet your removal needs. Whether you need just a man and van service around E18 area or the whole process taken care of, we know we will fit the bill. Our services are fully insured, giving you total peace of mind knowing that your possessions are protected and in safe hands. Our staff are experienced, trained to our standards and pride themselves on doing an excellent job. All this is done with a permanent smile on their faces. We are genuinely happy to help.